It’s easy to find lilacs and lilac bushes in North America. They seem to have always been in America, but actually are not native to the continent. They originate in Europe and Asia. 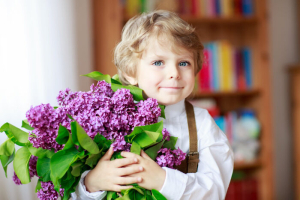 European colonists first brought over their beloved lilac bushes to America in the 1750s. Lilacs are not only beautiful, but incredibly fragrant. Some people prefer the scent of lilacs to that of roses. What Does the Lilac Flower Mean? In Victorian times, giving a lilac meant that that the giver is trying to remind the receiver of a first love. Lilacs can also express confidence that the giver has for the receiver. This makes lilacs a good gift for graduates. 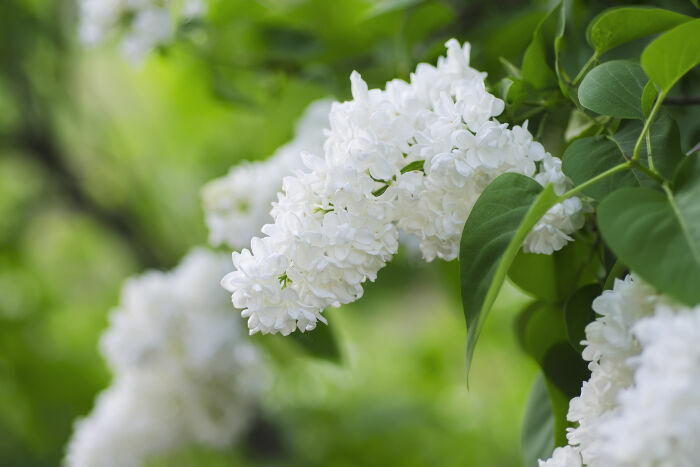 A sprig of lilacs, especially white lilacs, symbolizes innocence. In taxonomy, lilacs have their own genera called Syringa. 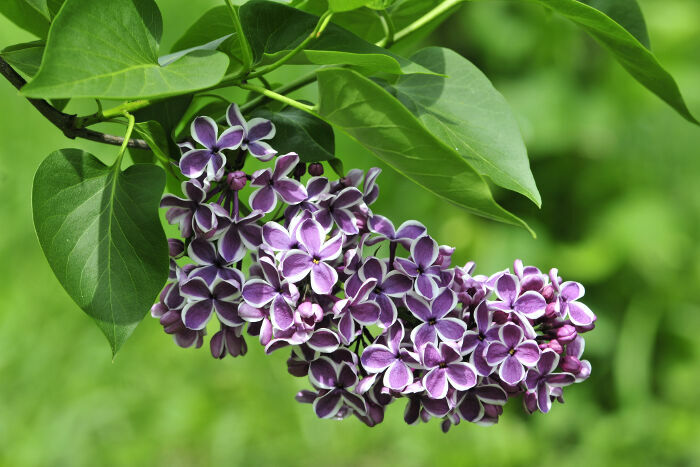 So, for example, the common lilac is known as Syringa vulgaris. The English word lilac is stolen from the French and Spanish word lilac. Arab and Persian also has a remarkably similar word – lilak. The granddaddy of most European and Asian languages, Sanskrit, had a similar word nilah which means “dark blue” as a color and not necessarily as a flower. 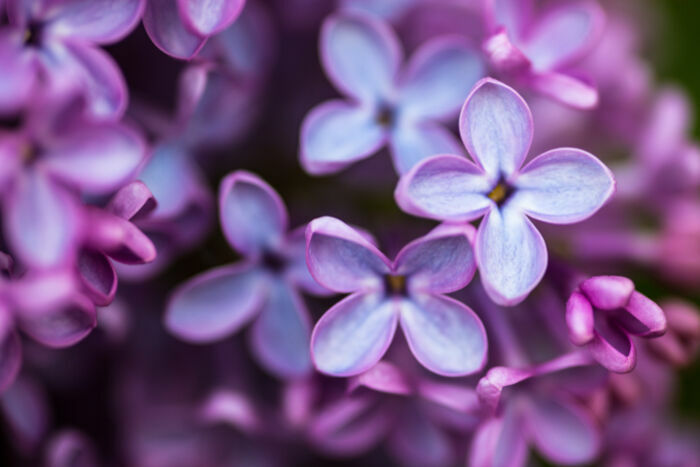 All of the other words for lilac are thought to have derived from nilah. Reminders of an old flame. In Victorian times, widows often wore lilacs. Lilacs are often the first flowers to bloom when temperatures rise and only last a couple of weeks, so lilacs often symbolize spring. In New Hampshire, lilacs are said to represent the “hearty character” of New Hampshire residents. Lilacs are so beloved that some towns compete over who loves lilacs best. 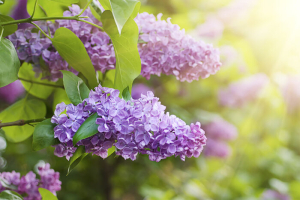 The Lilac capital of the world is Rochester, New York, home of the annual Lilac Festival. Cornwall in the Canadian providence of Ontario also claims to be a major center for lilac lovers, with a lilac collection about as massive as the one in Rochester’s Highland Park. 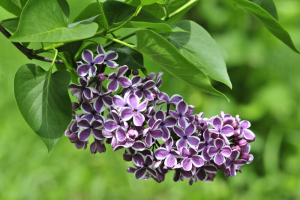 Lilacs are the official state flower of New Hampshire. 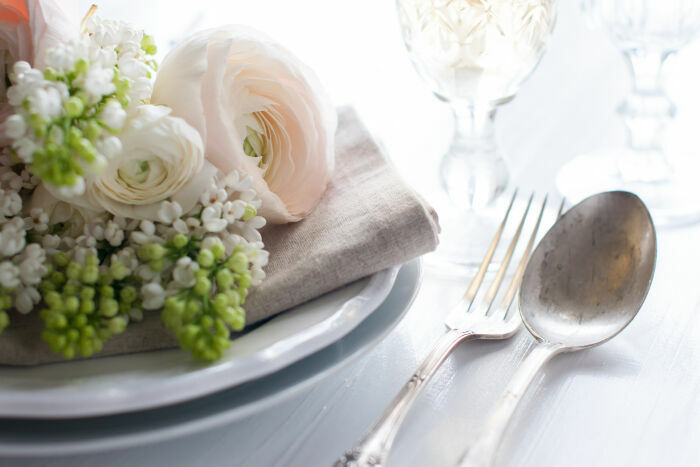 White: That purity and innocence thought to be part of childhood. Violet: All shades of purple tend to reflect spirituality, but darker purple reflects that the wearer is concerned or knows about spiritual mysteries. Blue: Pastel shades symbolize a baby boy, but soft blue can also mean happiness and tranquility. Many hospital or therapist rooms are a soft shade of blue. Lilac: This lighter shade of purple is associated with one’s first love or the first time one feels love for someone. Pink: Not just for little girls, pink is also associated with love and strong friendships. Magenta: This shade of dark red is associated with passion, love and the sheer thrill of being alive, especially after surviving a harrowing experience. Purple: Because lighter shades of purple are associated with first loves, purple is often an alternative to black for mourning or for remembering somber anniversaries. 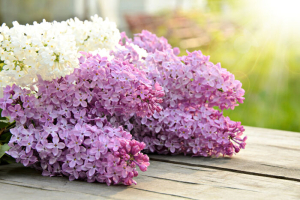 Lilacs are not only pretty, but useful in many ways. Many species of butterflies and moths rely on lilac plants in order for their caterpillars to survive. The common lilac produces nectar favored by bees and butterflies. 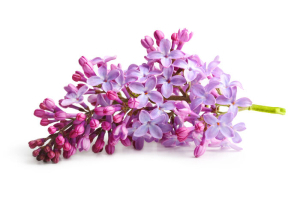 Lilac flowers are a common ingredient in fine cosmetics and perfumes. 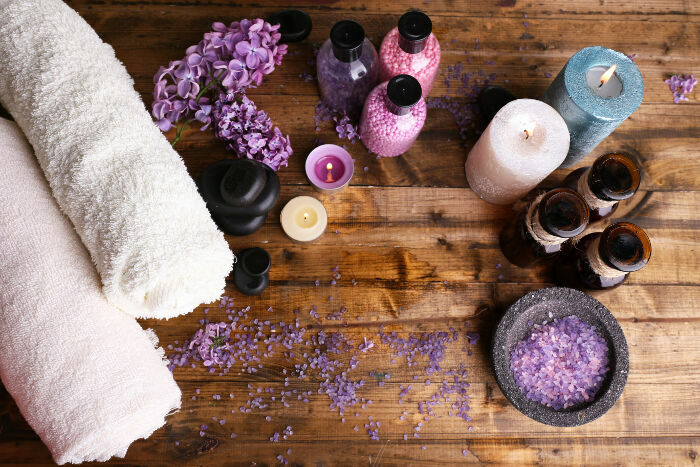 Aromatherapy oil made with lilac flowers is supposed to be good for relaxation and to sweeten up smelly rooms. Lilacs bloom for only a short while, but they are vibrant in their short lives. Love affairs or relationships can last even shorter. Enjoy love while it lasts and do not regret past loves. As a 3 year-old, I helped clean up, and plant lilac bushes along a section of Hwy 100, then on the western edge of Minneapolis, Mn. proper, nicknamed The Lilac Way. I was told we were planting the lilacs to bring home the soldiers from war. The lilac plant and smell have always held fond memories as well as photos within our family, as well as the annual Lilac Ball, a dance/celebration that was held in the same area. They were in my path to school, back home in Paris, France. I used to pick them in the spring, bring them to teacher. 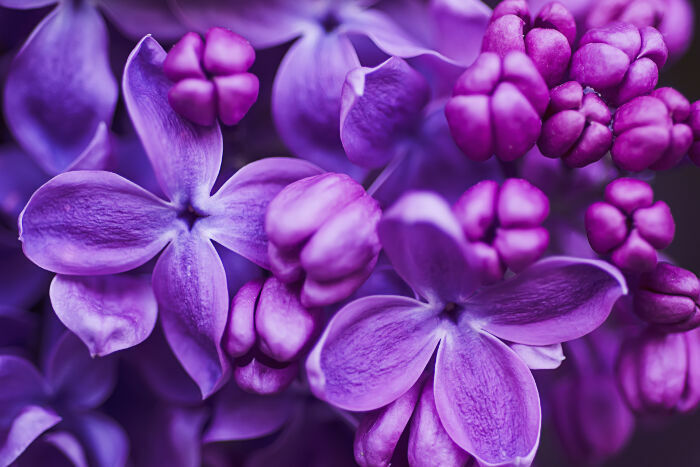 Lilac is amazing flower ???? Remind me of growing up in Ireland, where the lilac bloomed profusely in spring.